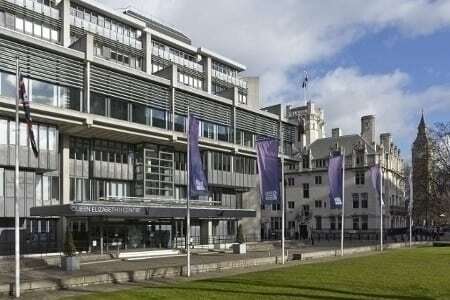 The newly refurbished and rebranded QEII Centre can announce today that its room hire revenue has grown by 17.3% in comparison to the previous financial year. The Centre has also delivered the best trading results across all income streams since 2009/10. In June 2014, the Centre delivered its highest ever occupancy level and revenue generating month since it opened 29 years ago. “I am delighted to announce that the Centre has delivered significant improvements and enjoyed considerable success over the course of the last two years. In economic terms it is estimated that the Centre delivered an economic impact to the London and UK economy of £122 million in 2014/15. “The Centre remains fully self-funding and has invested wisely in improving its facilities and services and as a result was awarded the 2014 Gold Award for Best Large Venue by EVENTIA, the UK’s largest event industry association. The Centre is an increasingly successful profit making agency, paying an annual dividend, which is forecast to increase again in 2015/16 and in each of the years covered by its corporate plan. Mark Taylor, CEO of QEII Centre, is delighted with the results achieved by his team: “It’s been a busy and exciting year for everyone here at QEII Centre and we’re proud of the progress made in a period that’s seen us invest significantly in the modernisation and future-proofing of the Centre. “We have achieved significant growth of our business with our forecast for year-end occupancy now 16% ahead of last year, while our total number of events is forecast to show a 20% increase. The combined effect of the aesthetic and technological improvements to the Centre, along with our re-branding and a colossal team effort have collectively delivered an outstanding year for the Centre. “And there is more to come this year. The Centre has of course recently appointed a new Sales and Marketing Director, Diane Waldron so for the next year there will be increased momentum and emphasis on our sales and marketing activities, whilst Anna Clover the Centre’s recently appointed Venue Operations and Customer Experience Director will be focusing on polishing all aspects of our customer delivery. “We are also assessing our phase three improvement works which will further enhance the Centre both internally and externally with some more surprises to delight our clients.